I love this rock; no frame could suit it better than Mawgan Porth’s sheer cliffs, golden sand and wide horizon. Perhaps I need emotional counselling, but it really is a beauty. Its seaward side lifts its face to the churning Atlantic, defying the waves that batter and submerge it for most of the year. Only a few mussels and barnacles cling on to its western edge, oblivious to the storms and sunsets I have watched from here since childhood. 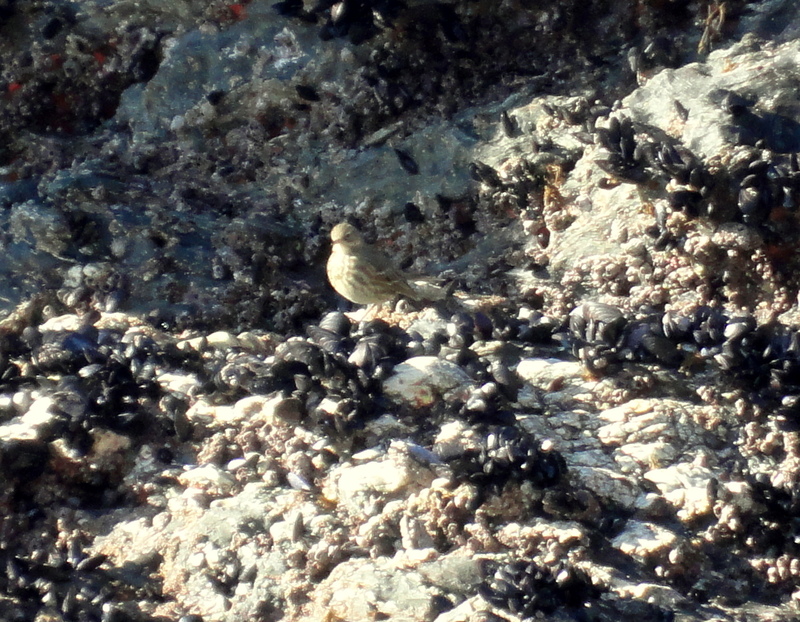 A rock pipit forages on the rock. Now we’re into real confessions: it’s the rock’s rear end I love the most. 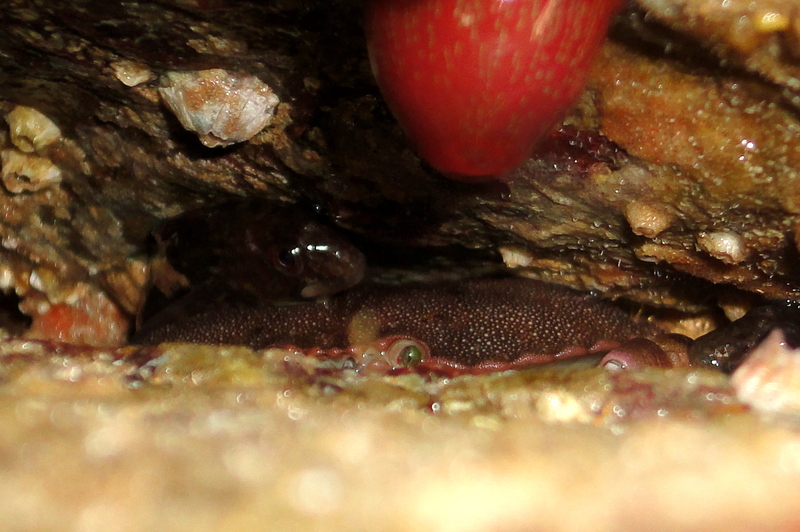 Sheltered from waves, currents, wind and weather, this side of the rock is thickly smothered in sea life. 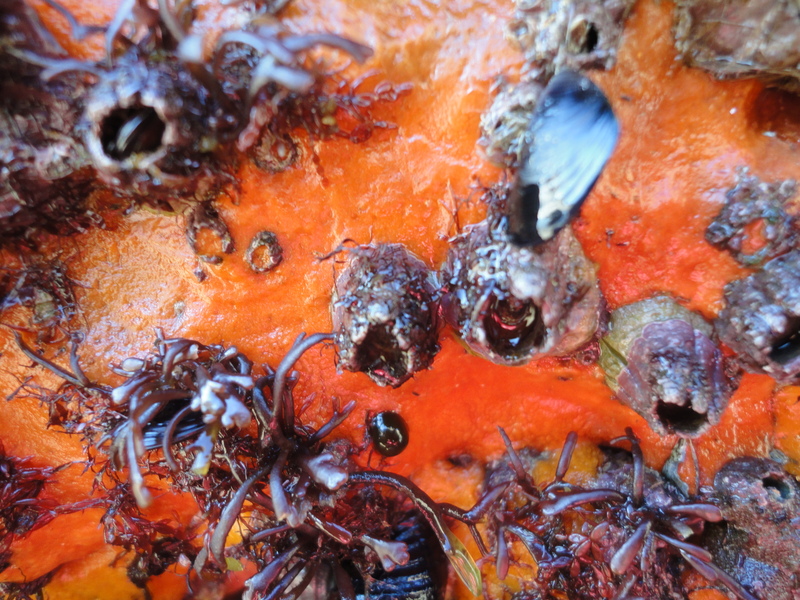 Bright sponges are studded with volcano barnacles, mussels cluster in spreading colonies and dog whelks prowl, trying to eat mussels without becoming ensnared by the byssal threads they shoot out in defence. 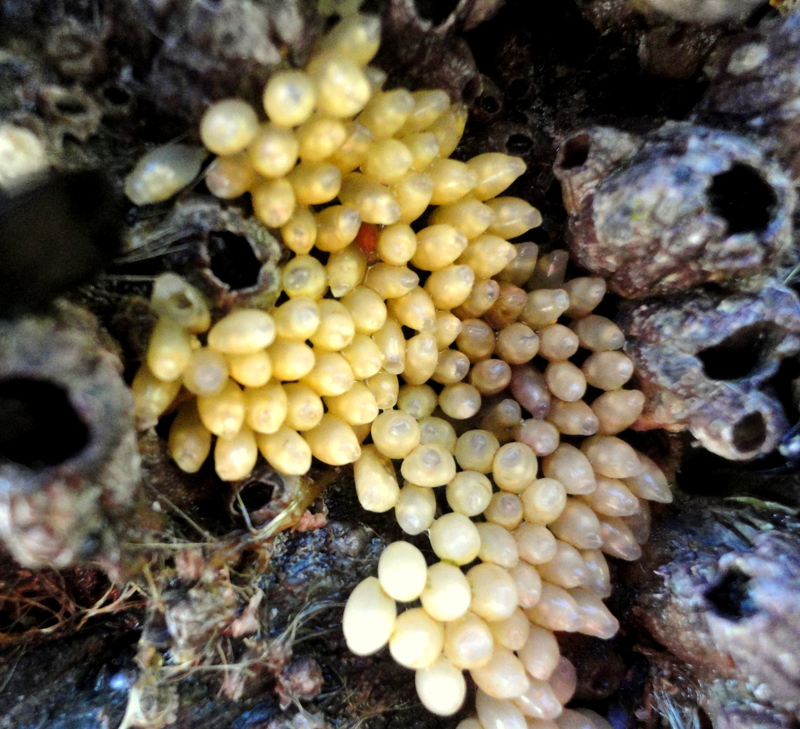 Beneath the overhangs, ruby and emerald beadlet anemones glisten, their tentacles tucked away. There are holes and crevices if you look closely and, if you look closer still, there are eyes looking back at you. Nine fish lie piled on top of each other in one hole. 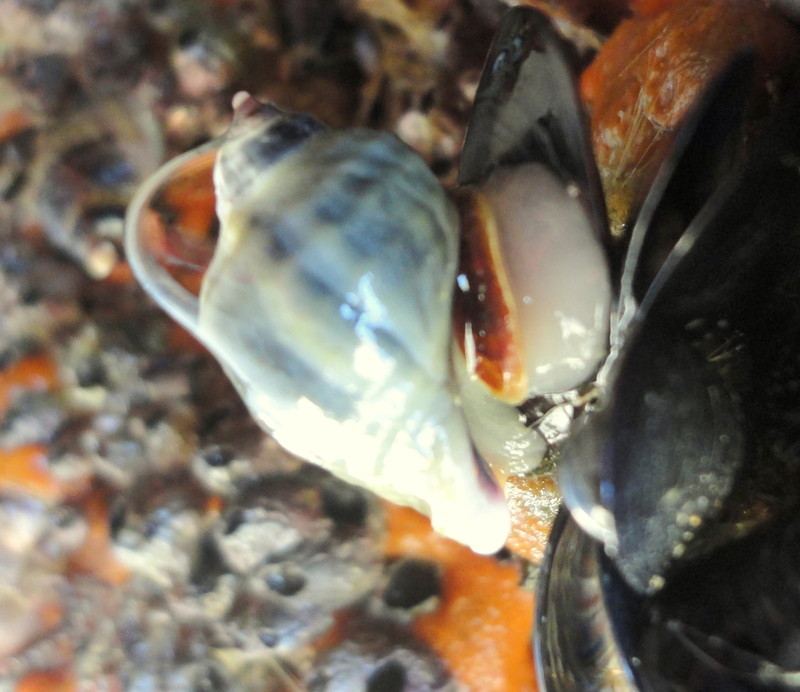 In another, an edible crab lurks, apparently unbothered by the shanny sitting on his shell. There’s rarely much time to look at this rock before the tide surges up, but on a calm sunny day it’s magical. 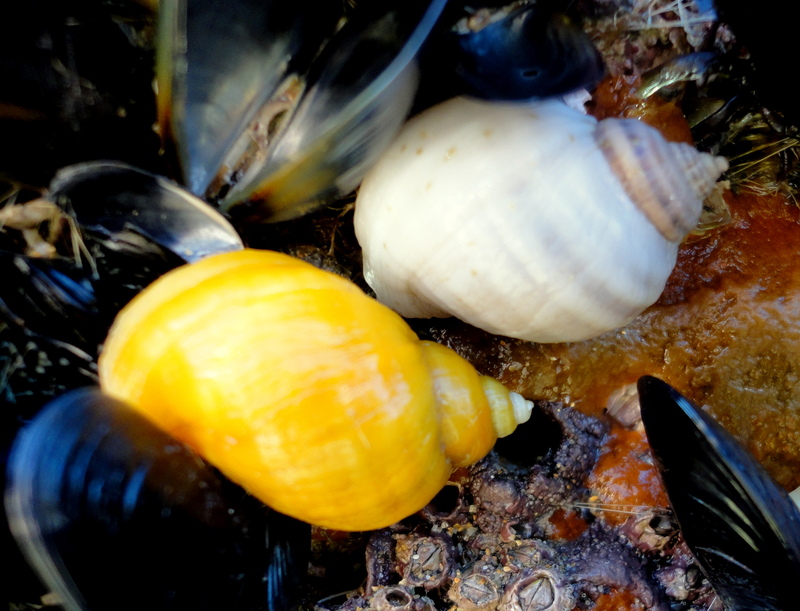 It’s rock pooling without the pool. Like I say, I love this rock. Maybe you will too.